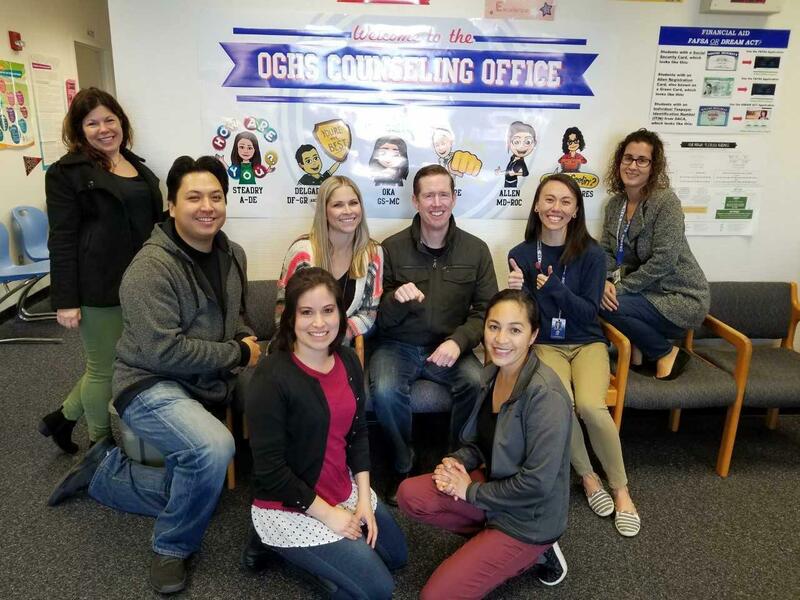 Welcome to the Orange Glen High School Counseling Department! Parents may make an appointment to see their student’s counselor by calling the Counseling Secretary, Beatriz Rodriguez, at 760-291-5040. Students are encouraged to speak with their Counselor before school (7:30-7:45), during nutrition break, during student lunch, and after school until 3:15 pm. Students may also fill out a "See Your Counselor" form located in the Counseling Office to let their Counselor know they would like to speak with them. Changes may ONLY be made within the first five (5) days of the semester. Changes after the first five (5) day period will only be made with the approval of an administrator. Any changes made after the first four (4) weeks of any semester will result in a Withdraw/Fail (W/F) and a W/F will be posted on the student's transcript. Most classes cannot be taken for credit more than one time. Student's GPA will be recalculated using the student's higher grade. Make an appointment to see a counselor if you have any questions regarding repeating a class to improve your grade. Any student with an overall “weighted” cumulative grade-point average (excluding P.E.) in grades 9-12 that places him or her among the top ten (10) students in the graduating class will qualify to be included in the pool from which the valedictorian and salutatorian will be selected. The student who has taken the most rigorous academic program as defined in the accompanying administrative procedures shall be designated the valedictorian. The student with the second most rigorous program shall be designated the salutatorian. Refer to EUHSD Board Policy for details regarding selection criteria for Valedictorian and Salutatorian.